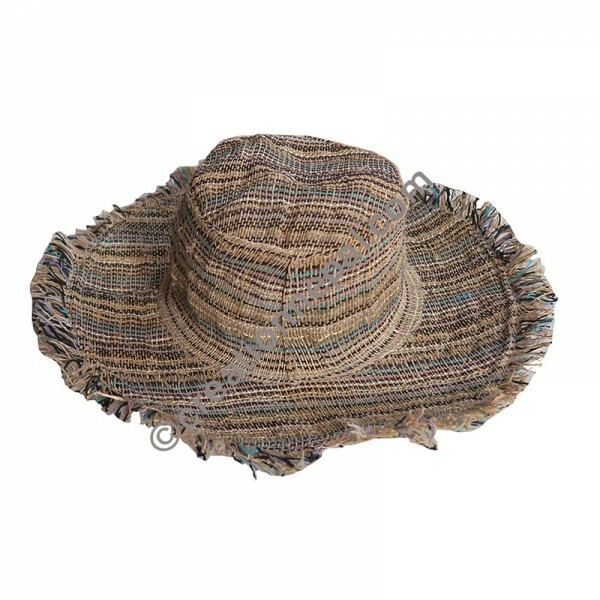 Light turquoise and natural color shade natural hemp with few cotton lines decorated light weight round hat with inner polyester or cotton lining. These hats are designed as summer cruise outfits, summer vacation style hats, summer hats for women. If you are looking for hippie fashion hats or men summer hats, buy these assorted colors as shown in the picture. The hats are supplied with inner cotton lining and coarse edges with aluminum wire on its outer circumference to get the desired shape. Since the Turquoise natural hemp round hat is entirely handmade, there can be slight variation in the measurement and differences in colors. The given weight of the hat is calculated for the shipping purpose, so that the actual weight can be different than it is mentioned here.